Andalucia in Spring is a spectacular place full of life, colour and beauty. If you have holidayed in Spain during summer you can be forgiven for thinking that Spain is a dry, arid land with only a smattering of greenery. In the summer months the heat scorches the land and the foreboding temperatures drain colour from the landscape. Before the sun and steadily rising temperatures have a chance to do their damage, in Springtime the landscape blooms and everywhere you look you are surrounded by plentiful crops, beautiful wild flowers and stunning scenery. Chaos and Mayhem couldn’t resist wading into the sea of scarlet poppies. A beautiful flower, found in the most humble of places and long associated as a symbol of remembrance. So wonderful to see the wild bright poppies in the green wheat fields against a clear blue sky. Another irresistible gift from nature is the large spherical dandelion seed heads that are also popping up all over. The boys loved the idea of using them to tell the time (old school) then watching as the ‘parachutes’ float away. 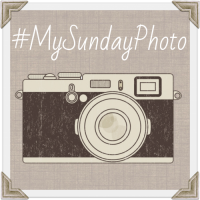 Linked up #MySundayPhoto with Photalife, click the icon below to check out what other awesome bloggers have been photographing this week. Thanks Victoria it’s amazing isn’t it! The dandelion clocks are something else in Spain, absolutely huge! Such beautiful photos, a wonderful poppy field, I’ve not seen any yet. Thanks Fiona, I think poppies are slightly later in the UK, such a beautiful flower hope you get some soon. Thank you, the scenery here is so beautiful it’s difficult to do it justice! Thanks for hosting and commenting Darren. There’s something a little special about how colourful poppies are, and there are so many here, although we don’t seem to get bluebells! Poppy fields at this time of year are so photogenic, aren’t they? This year in the South of France where I live seems a particularly good one. I featured poppies in #mysundayphoto today too. Tara recently posted…My Sunday Photo – May 28th, 2017. Wow. Such summery photos. Love poppies and every child loves making wishes. Fab shots. Hello Andrea, such beautiful photos, a wonderful poppy field. I have not seen any yet. This is really a beautiful flower garden. Thanks for this lovely post.